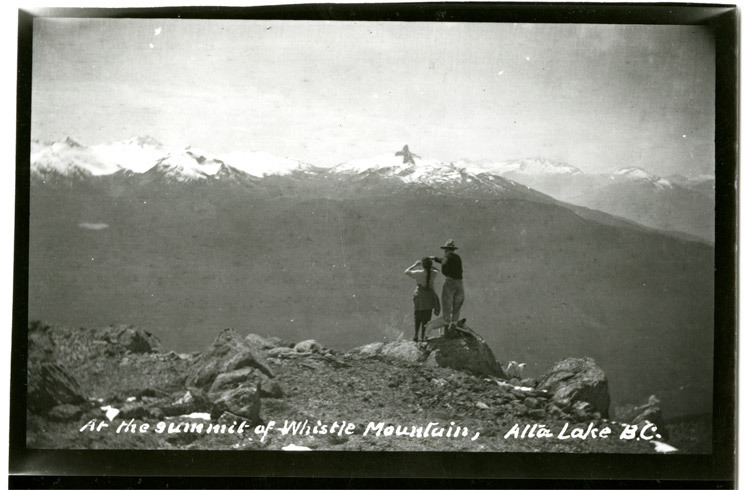 This is the first installment of an ongoing series digging into Whistler’s past. 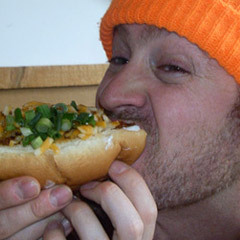 Get up to date with Part 2: Dual Mountain, Part 3: Snowboarding and Part 4: Fun and Games. Right off the start it’s important to note that the Squamish and Lil’wat First Nations were traveling and harvesting the lands surrounding what is now Whistler since time immemorial. The journey we make on Highway 99 through the Sea to Sky Corridor today passes lands that were rich in hunting and fishing grounds, spiritual training sites and important trade and travel routes. The original place names and tales of how mythical beings such as the mighty Thunderbird shaped the dramatic Coast Mountain landscape continue in Squamish and Lil’wat oral traditions today. 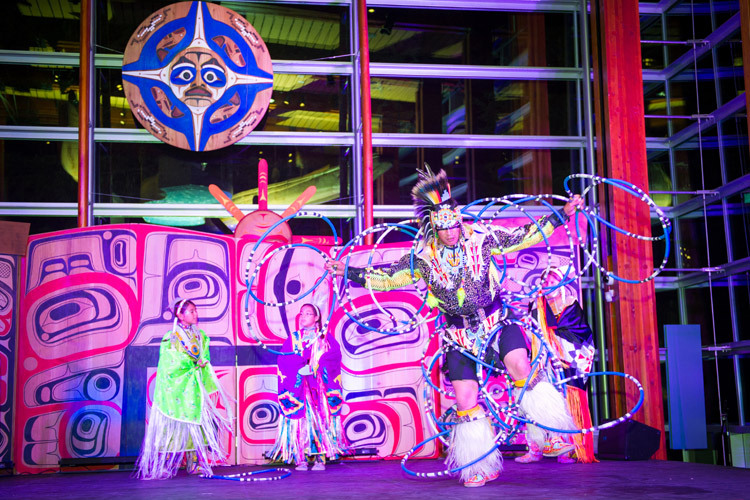 The stories and cultural artifacts of these original “locals” are being preserved and shared at the award-winning Squamish Lil’wat Cultural Centre (SLCC) alongside today’s First Nation artists and storytellers – the best way to learn more is to visit when you are in town. 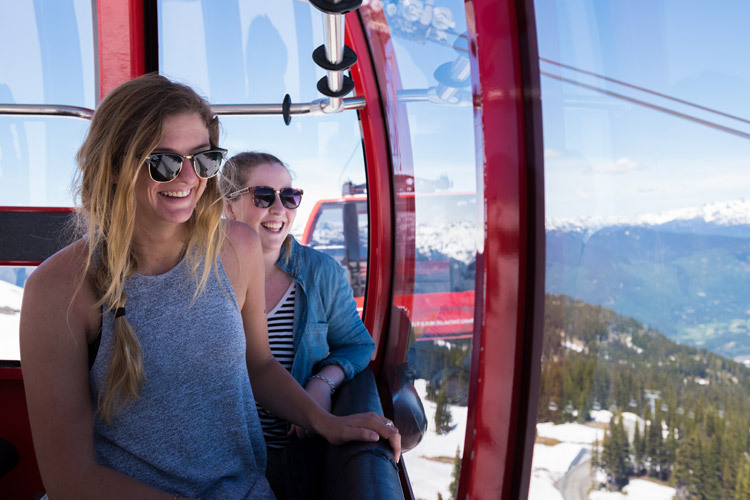 You can also add meaning to your drive along the Sea to Sky Highway by following the Cultural Journey from the SLCC and read more on the SLCC blog. More recently, the first Europeans to “discover” Whistler were trappers, prospectors and trail builders hard at work on The Pemberton Trail, a narrow dirt route built as a cattle transport route linking the British Columbia interior to the steamship port at the end of Howe Sound (now Squamish). The trail was not ideal for large herds of cattle but First Nations and early settlers used it freely. Alta Lake Road (aka Westside Road) follows the approximate route the Pemberton Trail took through the Whistler valley. 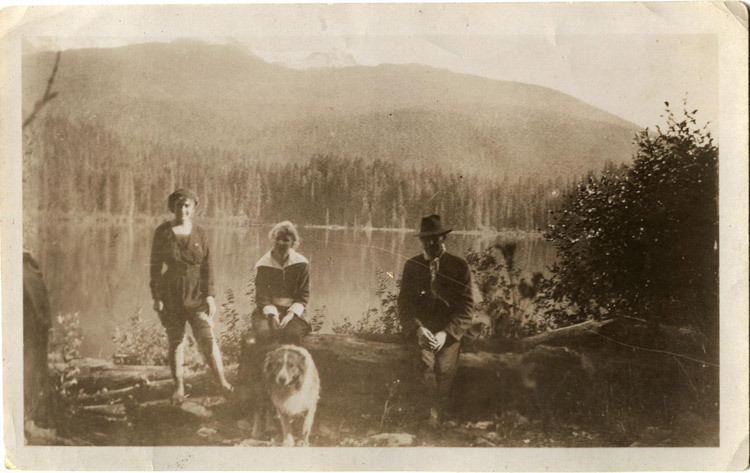 But the story of Whistler as the tourism destination we now know it as begins with Alex and Myrtle Philip, pioneers who opened the first ever fishing lodge on Alta Lake. Intrigued, the Philips boarded a steam ship for Squamish and headed up the Pemberton Trail for the 2-day trek to Summit Lake, so named because it was the highest lake in Whistler with creeks flowing out both the north and south end. The lake (later named Alta Lake) lived up to the hype and in 1912 the Philips returned, bought ten acres of lakefront and began hand building Rainbow Lodge, a fishing destination. In 1914 the Pacific Great Eastern Railway pushed through the valley, boosting the mining and forestry industries but also establishing a Fishermen’s tour to the new Rainbow Lodge, which eventually became popular enough to be considered the largest lodge west of Banff. At full capacity the Philips could accommodate 100 guests at a time. This many guests required plenty of food but Myrtle Philip was up to the task. She loved fishing and was reportedly a very skilled and passionate fly-caster, pulling Rainbow Trout from the waters of Alta Lake with almost every cast. 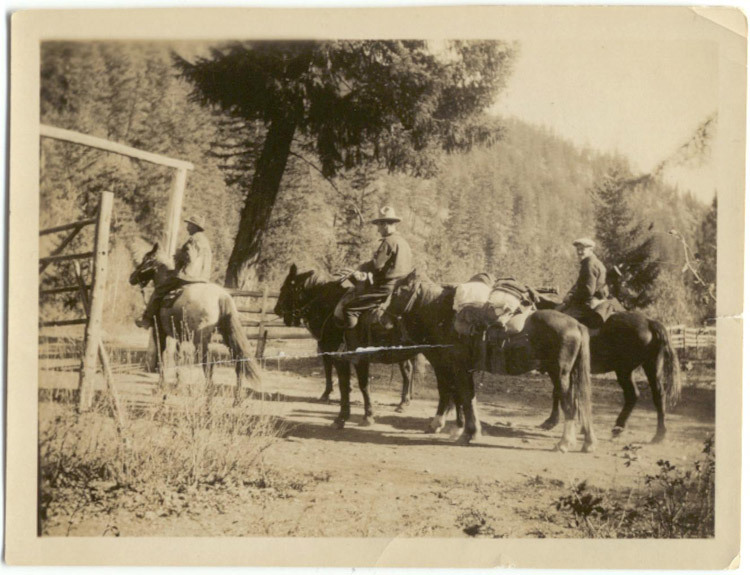 She also led guests on hikes up London Mountain (later renamed Whistler) and was a lover of horses and ran the lodge stables and trail rides. 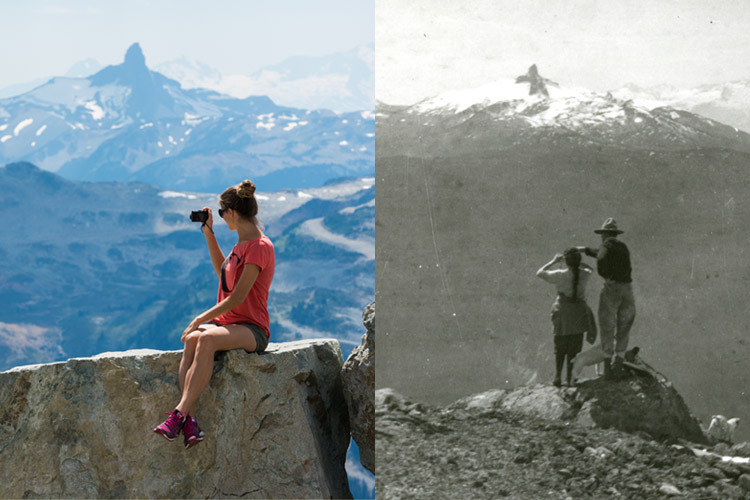 The first lady of Whistler was a certified badass mountain woman (she even had a pet black bear named Teddy). 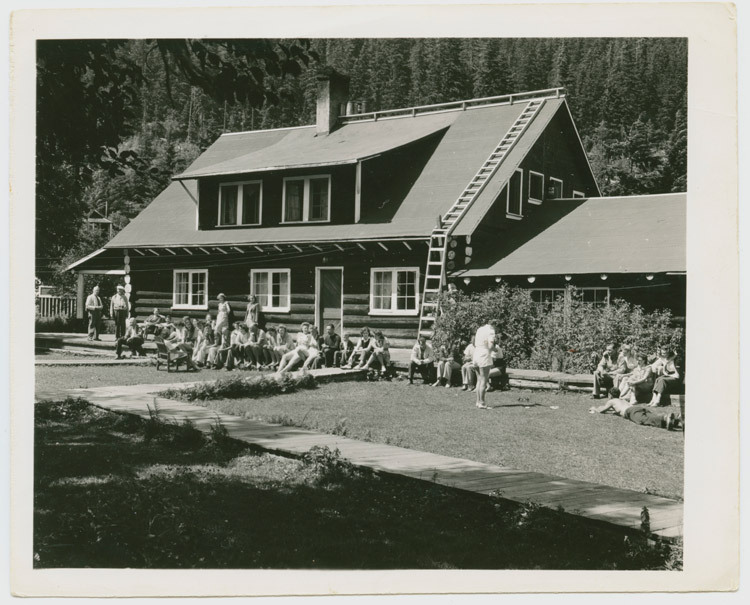 As the years passed new lodges opened on Whistler’s other lakes and the community of Alta Lake slowly expanded, including its first school in 1933. Meanwhile the forestry industry continued to thrive. 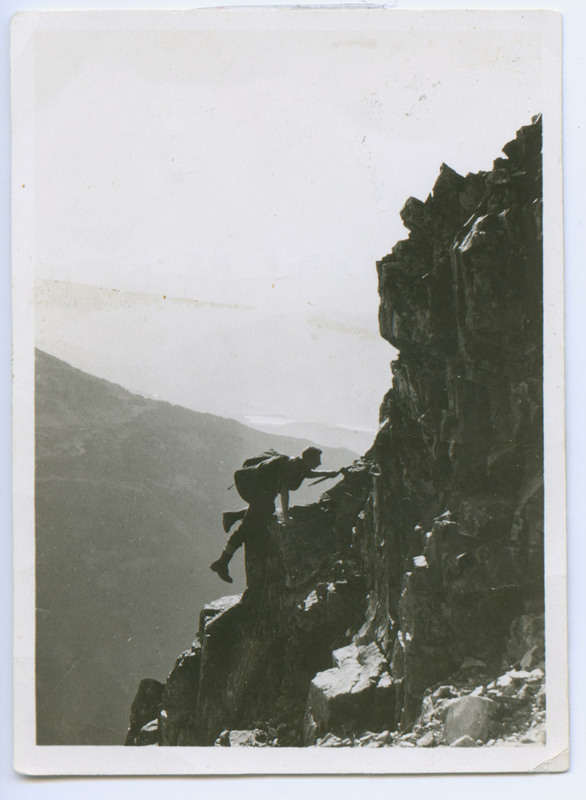 Mountaineers and explorers continued to arrive for hiking and ski touring missions in the mountains of Garibaldi Park. 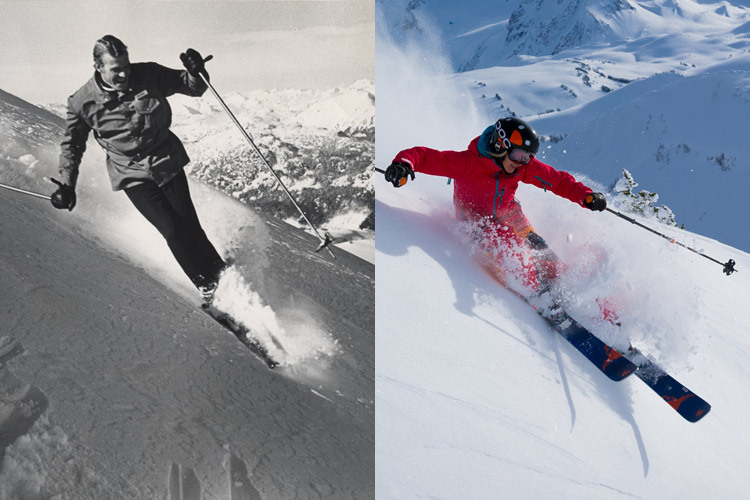 Locals even began skiing the cleared areas under the power lines and by the early 1960s a group of Vancouver businessmen began talking about Alta Lake’s potential as a winter resort to match it’s summer success. 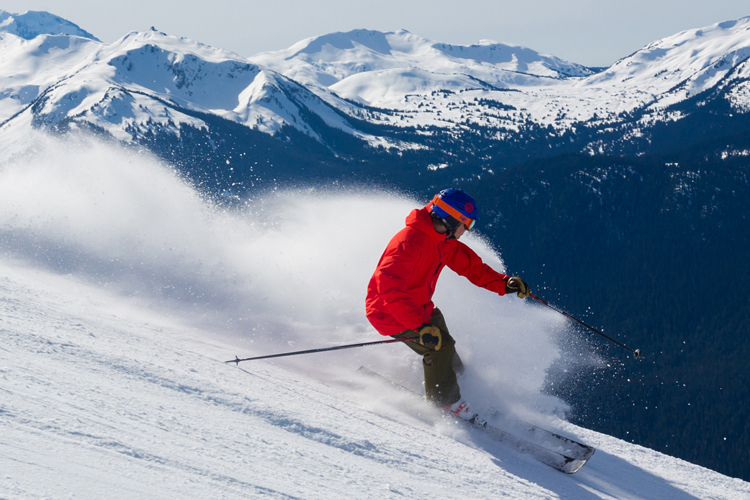 The story of Whistler was about to get a whole lot more interesting. This piece just scratches the surface of Whistler’s early days. The best place to learn more of the story, and purchase Florence Peterson’s history book, is at the Whistler Museum beside the Library on Main Street.